PRAYER PROMPT ••• In January 2016, my husband’s grandfather turned 100 years old and his birthday celebration fell the weekend of a major blizzard that shut down a good chunk of NC (where we live), as well as VA, WV, and KY… pretty much all the way to our destination in Cincinnati. We drove through it, but that 7 1/2 hour car ride took almost 14 hours at a white-knuckled snail’s pace. We prayed non-stop, and when we got into KY, the roads were so bad, we went for miles and miles, not seeing any other drivers. Just us in our little red Honda, fervently praying we wouldn’t get stuck. It was the most isolated I’d ever felt. It was intimidating and in hindsight, while God protected us, we probably shouldn’t have gone. But how often do you get to go to a 100th birthday party? The thing that I realized though – no matter where you go; no matter how alone you feel, God is a prayer away. 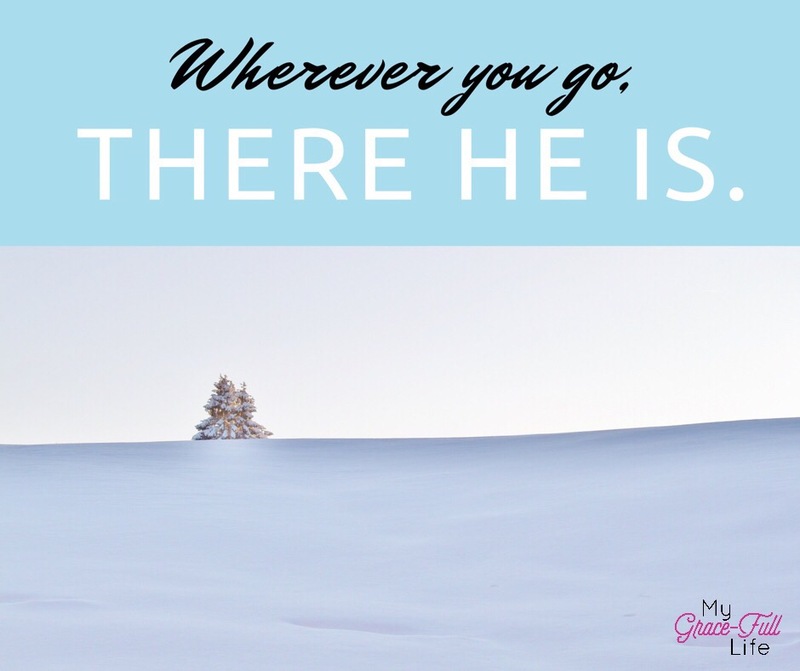 He’s is ever-present and there for us anytime we need Him. He was definitely with us during those very nerve-wracking hours. But what about the times that are good? Are you reaching out to him only in the storms, or are you talking to Him during the celebrations too? 1 Peter 5:7 tells us to cast all our cares on God, because He cares for us. But the Bible also tells us to praise Him. And a step further – praise Him even during storms and blizzards. Today, as you pray, ask God to be with you in all moments. Thank Him for always being there. Thank Him that He’s always in control and that He has a perfect plan – in both our best days and our worst. Previous Previous post: 7.4.17 Prayer Prompt: Rearrange My Priorities, Lord!